Achieve a flawless complexion skin with Nivea Pure Effect BB Cream. 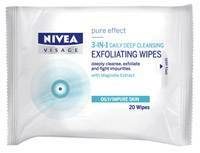 Nivea understands that sometimes it can take countless hours and products to achieve a flawless complexion. As the trusted skincare experts, Nivea has developed the ultimate solution with its Pure Effect BB Cream, a 2-in-1 day cream, which evens your skin tone for a natural looking radiant complexion. Nivea Pure Effect BB cream is a time saving alternative on days when you'd prefer to go foundation free. 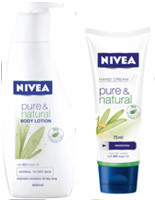 The Nivea Pure Effect range – including the BB cream – is based on anti-blemish and moisturising ingredients. Combining Magnolia Extract and Hydra IQ which work together to prevent impurities as well as nourish the skin. As trusted skincare experts Nivea has created the Pure Effect range to seamlessly blend into every woman's daily beauty regime. 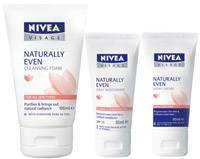 NIVEA understands and cares for your skin. As one of the world's most loved and trusted skincare brands, Nivea offers women and men effective skincare solutions and has been doing so for over 100 years. Its products cleanse, nourish and protect skin, while giving it exactly what it needs – gentle yet effective care that keeps skin smooth, supple and radiantly beautiful. 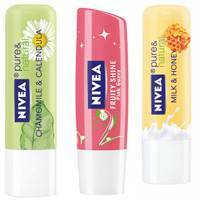 Nivea has a better understanding of skin and women's skincare habits and is here to help you enjoy better skincare.